Fellow Goodreads refugee, I am known as "old hag with too much time on her hands" or (preferably) "Crystal Starr Light". I read mostly science fiction and fantasy, but I will read just about any book and genre at least once. Bait and switch? Or just misleading? The title is HUGELY misleading. This isn't an in-depth scriptural analysis of Jesus and how he was a feminist. There are a few clobber verses trotted out and explained but that is only a couple of chapters. By far, most of the book is frothy, overly-emotional mumbo-jumbo hoopla about how women pursue social causes (duh), how awesome that is (double duh), and the author's personal history. 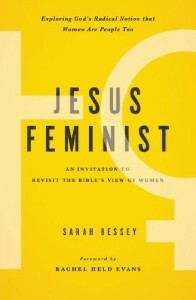 This is great and all, but this isn't about how Jesus was a feminist; in fact, I have NO CLUE what being a feminist even MEANS to Bessey. Also, I found it odd how many times Bessey referenced Rachel Held Evans, fellow Christian feminist and author who ALSO happens to provide the foreword in this book. Back scratching??? Also, it's CHILDREN NOT TINIES. 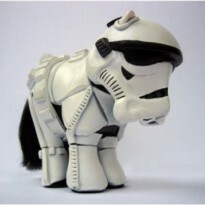 It's NOT EFFING CUTE, it's STUPID. Very disappointing, as it was not what I expected at all. I'm not a fluffy, touchy-feely emotional girl, I want FACTS and FIGURES. I'm sure others needing a morale boost or a pick-me-up will live it, but not this girl. What do you want when you read "Jesus Feminist"? Do you want a scholarly discourse about feminism, biblical theory, and gender roles? Or would you like to read emotional "pick me up" stories about how awesome women are doing awesome things? I fear I must say something really quick, or people might get offended or get the wrong impression. There is NOTHING WRONG with a personal memoir about how awesome Jesus is, how awesome women are and the wonderful things that many women do. And there are LOADS of women out there that want/need to read books like this, whether to get them motivated or to affirm what they already believe. I am not that woman. When I saw "Jesus Feminist", I wanted to read about how the modern evangelical interpretation was too stringent and to examine how it was meant to read for the intended audience. And, admittedly, Bessey does do this for a couple of the common "clobber" verses - the ones about wives being silent in church and wives submitting to husbands. But Bessey spends a LOT of time talking about her own path to feminism and then branches into the many ways women are doing lots of wonderful things in the world. This is great, don't get me wrong, but it wasn't what I wanted/expected from this book. It wasn't how I interpreted the title. There were other, little things that bugged me. Things like calling your children "tinies". (It's not cute, it's ridiculous.) Things like using Rachel Held Evans as a reference AND having her write your foreward. (Although the reference section is pretty good, some of it felt a bit off to me.) In fact, much of the tone of the book is hinged on tweaking your emotional sensors - something I definitely dislike in a book. I don't like books that write things just to make you cry, and this is definitely one of those books. So, back to my first question: what do you want to read when you read "Jesus Feminist"? Do you want a methodical nonfiction book, one that will define what feminism is, the verses, how modern scholars interpret these verses, maybe even look into how Jesus acted like a feminist back in his day? If so, you'll find a few chapters, but most of the book will be a disappointment (like to me) or just boring. But if instead, you want a casual talk about how Christians can be this thing called feminist and be varied and different and influential, then this is right up your alley.